Home » Retirement Planning » Can I Save For Retirement While Helping My Kids & Parents? If you’ve asked yourself how you’ll save for retirement while also financially helping your kids and parents, you’re not alone. 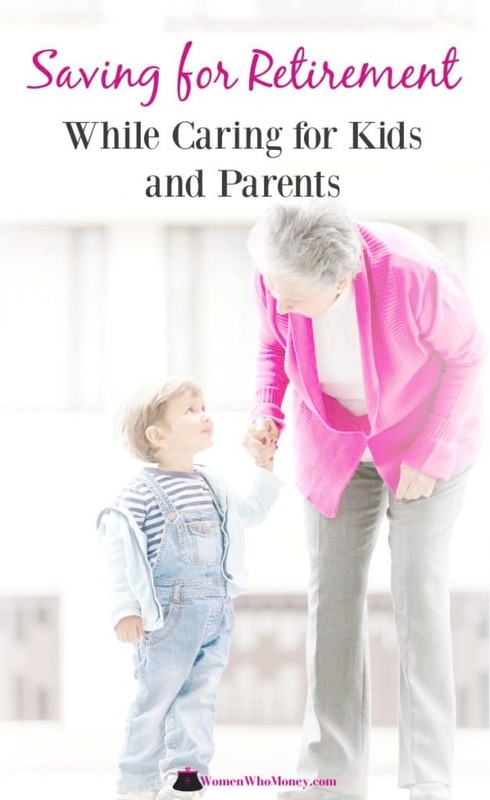 A few years ago, the Pew Research Center reported that almost half of all adults in their 40’s or 50’s were either raising a child or supporting a grown child, while also helping a parent aged 65 or older. If you are “sandwiched” between two generations who need your assistance, saving for retirement can be a huge problem. Taking care of multiple generations within a family isn’t new. But the emotional and financial issues facing the sandwich generation have changed. Even though you won’t be in the sandwich generation forever, your retirement plans for travel and leisure may be just a dream without careful planning. Your Kids (Step-Kids). They are your life, and you’d do anything for them. But doing anything comes at a price. In 2015, the U.S. Department of Agriculture reported parents spent over $230,000 raising a child to the age of 18. And if you have more than one child, money may seem to go out faster than it comes in. You can use this U.S.D.A. Cost of Raising a Child calculator to estimate the cost of raising your children in different areas of the country. Even if you live a frugal lifestyle, you might be surprised how expensive it is to care for your kids. These figures don’t cover college costs either. According to the College Board, in 2017-2018 in-state public college costs averaged over $25,000 and moderate budget private colleges charged over $50,000. Many parents contribute to 529 plans or other college savings programs taking a chunk of the monthly budget. Helping kids pay for college is a significant investment that cuts into plans to save for retirement. Even with financial help, some students still end up with substantial loans. And this forces many to move home after college while they work to pay loans off. NPR reported that for the first time in 130 years, more young adults live with parents than with partners. This can lengthen the financial stress parents feel as they continue to support adult children partially. Another financial stress? According to census data, more than 2.6 million people are raising grandkids. This adds one more financial and emotional layer to many sandwich generation parents, even if other family members are providing some of the support. Your Parents (In-Laws, Grandparents). You love your parents as much as your kids. They took care of you for years, but as they age, they’ll likely need help from you. And you may find out they didn’t save for retirement and now do not have enough money to cover all their expenses. Aging parents who retired or lost their jobs during the Great Recession may be facing severe financial choices in retirement. GoBankingRates published research showing over 50% of older Americans surveyed lacked sufficient retirement funds as compared to typical benchmarks. About 30% of this group had saved nothing for retirement. This is one explanation of why the sandwich generation is being called on to help their parents more than in years past. With longer life expectancies and increasing medical costs, your parents may be spending more than they ever expected too. And if they live a long distance from you, increased travel costs may increase your expenses each year; more reasons you might not save for retirement as much as you’d like. You (Your Partner). Your decisions may have gotten in the way of saving for retirement too. Have you fallen into the trap of lifestyle inflation? Do consumer debt payments replace 401K contributions each month? Maybe you had to pay off your student loans over the last decade. Since you are in your peak earning years you might save for retirement in your 401k account – but is it enough? Did you start contributing late and miss some crucial years of compounding interest? No matter the cause, you are struggling to save for retirement, and it’s time to get serious. Here are three essential steps you can take to boost your retirement savings while still caring for your family members. Put Yourself First. You might think it’s alright to put your retirement savings on hold because this is a temporary situation. And depending on your family’s needs, you might be right. But chances are you will still be taking care of one generation, even if the other becomes self-supporting. Your child may get a good job and move out, but then your parents may need even more help. Play it safe and think long term. Do you know how much you’ve saved for retirement? Don’t just guess. Is life insurance in place? What about a plan for long-term care? Downsize and sell your house? It’s important to take action and understand your own financial house and how it relates to the future you desire. If you have a partner, talk about what you need to do to prepare for your retirement years. You don’t have to tackle it all in a day or even a week, but waiting may add to the problems you will be trying to solve. Recommended: What Should People Know If Something Bad Happens To Me? If you aren’t meeting your retirement savings goals, consider seeking professional financial and legal advice. It might be the best money you’ve ever spent. And you can think of it as helping your children too – since your planning may prevent them from having to take care of your needs down the road. Talk to Your Parents. These may be the most difficult conversations you’ll have but talking to your parents about their finances is incredibly essential. You will also need to speak to them about legal and medical issues as well. If you have siblings, try to set up a family meeting about your parents’ future. Who will handle their finances when they can’t do it anymore? Have they updated their wills or discussed with legal counsel any need for a power of attorney, living trust, living will, or other advanced medical directives? 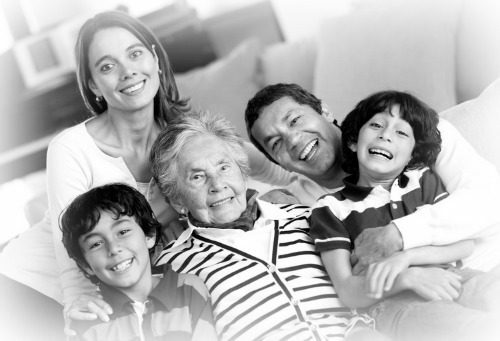 What is the plan for long-term care for your parents? As your parents’ age, complicated medical issues may require ongoing treatment, expensive prescriptions, and hospital stays. Costly renovations could be needed for them to continue living at home. If they require a higher level of care, moving a parent to an assisted living facility or nursing home may be your only option. Eldercare costs are skyrocketing. For a private nursing home room, you can expect to pay about $100,000 per year. If your parents haven’t planned for these expenses, you may end up contributing to or paying for their care. 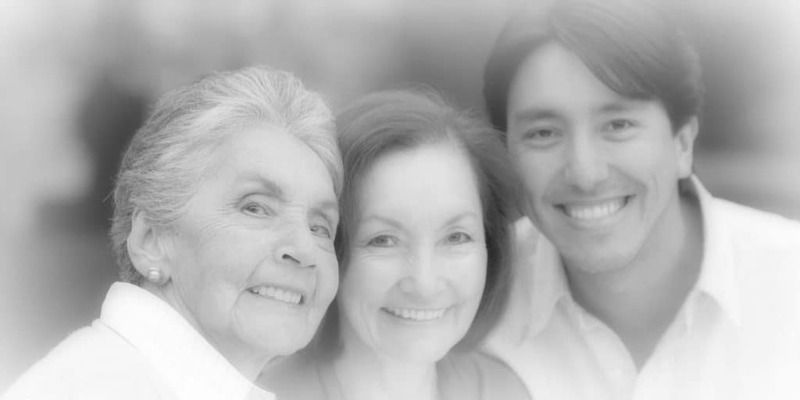 When discussing funding your parent’s care, ask about retirement accounts, savings, social security, pensions, insurance policies, Medicare or VA benefits. Consider other assets too. Could home equity be accessed for long-term care? It’s also important to discuss your parents’ final wishes so you don’t have to question what they would have wanted as you grieve their passing. Set Limits with Your Kids. You’ve put yourself first and determined where you stand financially, and you’ve talked to your parents about life, money, legal and financial issues. Now is the time to think about setting limits and talking to your kids about your ability to support them as they become adults. Related: Is Graduating From College In Three Years Good To Do? You’ve probably heard that your kids can take out loans for college, but you can’t take a loan for retirement. And now is the time to listen. Paying for college expenses may no longer be an option for you because you can’t put your child’s future ahead of your own. Remember time favors your child. You can always help with loan payments after you’ve made progress toward meeting the retirement goals you’ve set. If you have an adult child living at home, it’s important to make sure they are paying their fair share too. If they are rooted in debt, consider hiring a fee-only financial planner or financial coach to help your child set up a budget and plan for the future. Continuing to support them for an extended period can hurt their ability to become independent and reduce your ability to save more for retirement too. 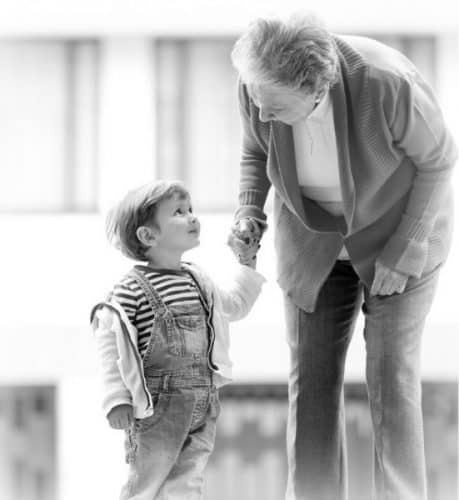 As caregivers, we may put the needs of our children and our parents before our own. But we need to remember how important it is to stay focused on our finances, retirement planning, and our health. Don’t let poor retirement planning shift the costs of your caregiving onto your children. Strive to find a balance between funding your future and helping your maturing children and aging parents. Save for retirement and be kind to yourself. It will certainly help you navigate this challenging and rewarding time of life. My husband and I are in our early thirties now and all of our parents are in their early sixties. We don’t plan on having kids, so we won’t end up being sandwiched between supporting our kids and parents, but I still feel like we are going to need to worry about our parents finances and how they plan to retire. We need to start talking to them about their plans though, now that they are in their sixties, but it’s hard when they’ve never even talked about pieces of finances with their kids ever really. It’s hard because even if your parents did a great job emotionally raising you and putting food on the table, that doesn’t necessarily mean they have enough saved for retirement. Good luck Leigh. It sounds like a challenging conversation in your family. Mine too. Your article is about money being spent, but an even bigger resource is our time. Over the past year, my in-laws have needed a lot of help as one was in the hospital, then skilled nursing. We live 2 hours away, but as early retirees, we traveled and stayed over half of every week to help them. We not only provided health care assistance, but eventually we managed their move to Assisted Living. It was a lot of work. We thought we might have to help them financially, but so far we lucked out by the extra money they got from their home. However, the main point in your article is about when people spend for their parents (or kids) before their own retirement. My father-in-law did just that for his Mom, taking everything from his 401K and then taking a 2nd mortgage on the house to help fund her over about 15 years that she suffered from Alheimer’s. In today’s world, she would probably have been declared bankrupt and used Medicaid for the nursing home, but at that time I don’t think it was available. Because of his generosity, we feel obliged to follow in his footsteps should they need financial help. So I’m wondering what your advice is about following their lead? That is, should you go into debt for a parent if that’s what they did for theirs? Good article. It needs more attention in the personal finance world. Susan you make a terrific point about time. And many adult children are working and not able to take time off without suffering financially. I’m sure your in-laws are very thankful for your time and energy. Tough question. I don’t think we should do anything ‘just because someone else did’. But it all depends on the circumstances right? If one has the financial means to help then I think that’s the right thing to do. I’d try to find other ways to help financially without taking on debt. Researching assistance options, selling assets, applying for aid, etc. With that being said, I know I’d do whatever it took to take care of my mom if needed. But as a parent I also know I wouldn’t want my kids to go into debt to take care of me. Such an important topic. As someone in my thirties with 2.5 sets of living parents (and step-parents) plus a couple living grandparents still, and two young kids, it seems so hard to plan for all of these potential costs as this point. There is so much attention to planning for your magic early retirement or optional retirement number in the FI blogging community, but I question how most people in their thirties can really plan for these unknown family care costs. The more we can save, the better, I guess! Thanks for drawing attention to this issue that sometimes seems to get overlooked. There are so many unknowns that’s for sure. When you’re only 1/3 or 1/2 way through life there are so many possible outcomes. And yes, it does seem the more saved or the more insurance held the better. Hopefully you can speak with your parents to understand their estate and get some idea of how it may or may not affect you. Thanks for reading and commenting!